All Federal, State and Territory governments are likely to find themselves involved, to varying degrees, as parties to native title claims. This involvement results, in part, from the operation of past policies of these governments in regard to the affairs and territory of Indigenous populations. The implementation of these policies will be reflected in the records of the government agencies. The official archival authorities of the Commonwealth, the States and Territories may be asked to assist their respective governments in the resolution of native title claims. This will occur either as a result of their role as custodians of official records documenting the policies of government, or as a consequence of their role as the records management experts for their relevant jurisdictions. A significant part of the work of archival authorities will be the identification of records that may be relevant to the support or defence of native title claims. Due to the potential extent of the records that may be relevant, it is appropriate for guidelines to be developed to help identify possible records. With this in mind the former Council of Federal, State and Territory Archives (COFSTA) requested that the former Current Records Issues Working Group examine this matter and prepare a guideline to help member institutions identify records relevant to native title claims. This guideline has been developed to help the Council of Australasian Archives and Records Authorities (CAARA) member institutions identify records that establish an ongoing connection to the land and/or sea by Indigenous peoples, or breaks in that ongoing connection. It should be noted that records that may be relevant to native title claims may also, by virtue of the information they contain, be relevant to Indigenous peoples trying to re-establish family links that may have been broken under the previous separation polices of relevant governments. CAARA member institutions may have already identified some records relating to this latter purpose. Any such exercises may help contribute to the development of jurisdiction-specific guidelines on records relating to native title claims. It is not possible for this guideline to identify all the relevant record types and categories that may relate to native title claims due to the wide range of records that may be relevant. Rather the guideline attempts to provide some pointers to the relevant government functions and past business activities that may be relevant to native title claims. It is important to note that native title claims are not limited to claims over land. Native title may also be claimed over maritime areas of significance to Indigenous peoples. This guideline therefore includes references to government functions and activities involving some maritime matters. 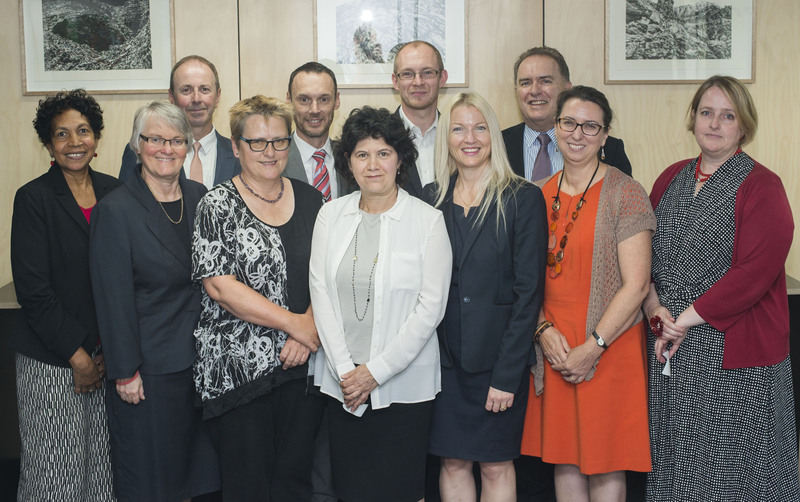 These national archival authorities were consulted in the expectation that they would have addressed the issue of identifying relevant records – in response to native title claims that have been completed, or are, currently under way within their jurisdictions. This was not the case in 2002 and it appears that these authorities are yet to produce any formal guidelines that assist research into native title claims in their jurisdictions. Records that contain information that will help to establish an ongoing connection with the land and/or sea according to traditional laws and customs, going back to the claiming of sovereignty over that section of land or sea by the British government. Such records may be of temporary or archival value. It is also recommended that this criterion be applied, in the first instance, to those records that fall within the broad functional areas of government activity that are most likely to be relevant to native title claims. In Australia many of these functions were carried out as part of a broader “colonial administration” function prior to Federation. The listed functions include a number of activities that are likely to be pertinent to native title claims. These activities are expanded in greater detail in the Appendix to this guideline. Current disposal authorities may cover records relating to the functions and activities outlined in this guideline. Such instruments may have been approved before native title research needs were known. To ensure that relevant records are not unwittingly destroyed, archival authorities should provide appropriate guidance to agencies and ensure that mechanisms are in place to prevent inappropriate destruction. This will help to ensure that records that may be relevant to native title claims are identified and managed appropriately. Archival authorities may choose a variety of mechanisms, including disposal freezes, to safeguard the destruction of relevant records pending re-appraisal. Another issue that warrants attention concerns the disposal of records that are identified as having actual relevance at the completion of claim proceedings. Archival authorities should consider whether legal proceedings relating to native title merit keeping such records for greater periods of time than records relating to other types of legal proceedings. The increasing devolution of government functions to the private sector may impact upon native title claims. Archival authorities should ensure that any existing records that may be relevant to native title claims and which are also subject to transfer to private organizations, are specifically mentioned in the access and disposal provisions of the contractual agreements with the new custodians. The issue of access to records relevant to native title claims raises a number of concerns, some of which differ from access where native title is not involved. It is likely that parties to a claim may wish to have access to the same record, but for different reasons. Archival authorities that are custodians of records of potential interest should ensure that they provide assistance on equitable terms to all parties to a claim. Failure to do so may create, or exaggerate, concerns among claimants regarding bias. Archival authorities should also ensure that ongoing access to records for discovery or research purposes does not result in damage. While this issue arises when providing access to records for other reasons, there may be an increased risk of damage to records accessed for native title purposes due to the duration of proceedings and potential number of claimants. Where possible, alternative forms of access should be provided (for example, the production of certified copies of records). Due to the vast number of records that could be relevant to native title claims it is not possible for this guideline to contain a detailed listing of all possible record types and categories. Rather this Appendix attempts to flesh out relevant activities under the broad functional headings that are included in the guideline. It is possible that additional government functions and business activities, and their related records, will be identified, as claims are resolved. Accordingly, CAARA member institutions should maintain close working relationships with their respective government solicitors to monitor changing patterns in record discovery and research.